It's time to get the FUNK out with the YELLOW Q ! 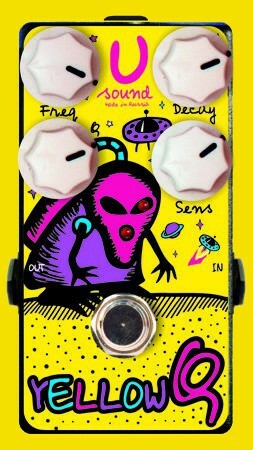 The primary sound feature of the YELLOW Q is a wah-wah of course, but instead of the effect being controlled by the musician's foot, this pedal automatically alters in response to the input signal. In this case, the player's pick attack. 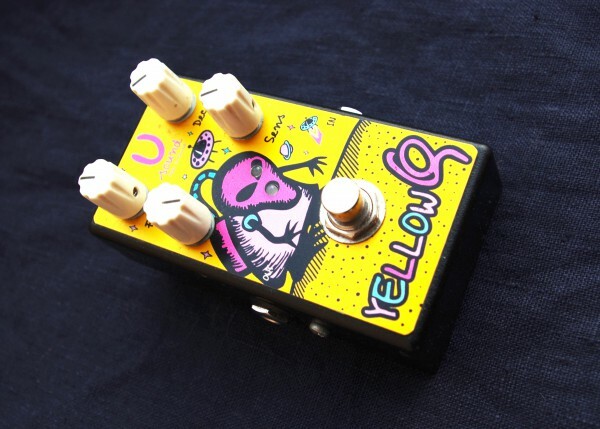 Since the electronic circuits in the pedal can respond much faster than anyone can manipulate a foot pedal, you can achieve infinitely more sounds with the YELLOW Q auto-wah than with a standard wah pedal. The response of the wah effect is highly interactive with the dynamics of your playing. This lets you vary the response at will by making slight changes in your picking and strumming technique. Let your imagination run wild. For guitar and bass. Power: 9 V battery or 9Volt, negative center pin power supply. Current consumption is not more than 30ma. "Yellow Q" will ship within 10-12 business days of receiving cleared payment.